The One Mix 2S Yoga launched the last month, but it has only just started to arrive at distributors. Surprisingly, this 7-inch mini-PC isn't a Lenovo product - it is made by a firm called 'One Netbook'. This 360 degree hinge portable mini-PC sequel is said to offer a big step up in performance compared to the Atom-based original version thanks to its Intel Core M3-8100Y processor. 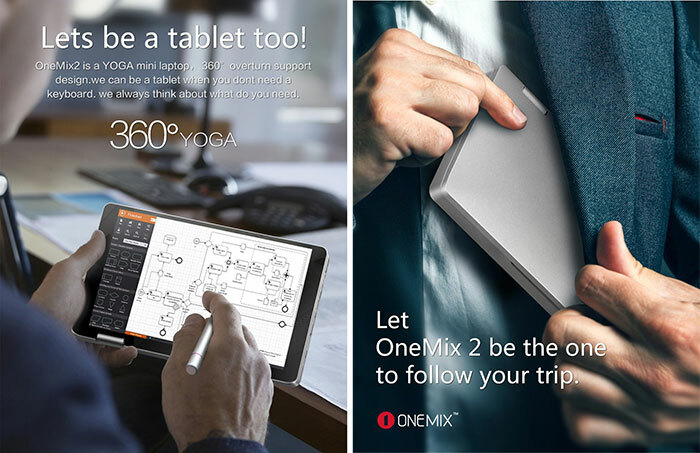 In its early tests of a review unit Liliputing found that the new One Mix 2S Yoga is improved over the original by its inclusion of a fingerprint sensor, the change from microUSB to USB Type C, changing from eMMC to SSD storage, and the upgrading of the CPU from an Atom x5-Z8350 (which was released in early 2016). 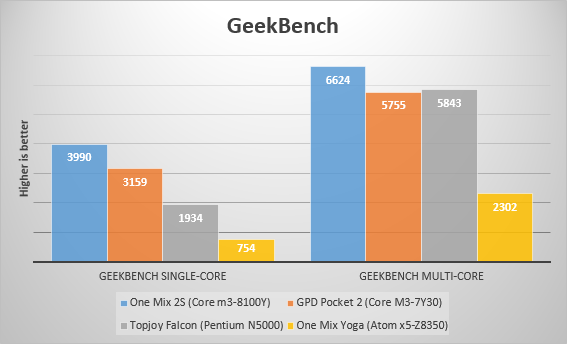 Its tests revealed that the One Mix 2 Yoga outperforms the GPD Pocket 2 by most measures. We are asked to stay tuned for a full review of the system. 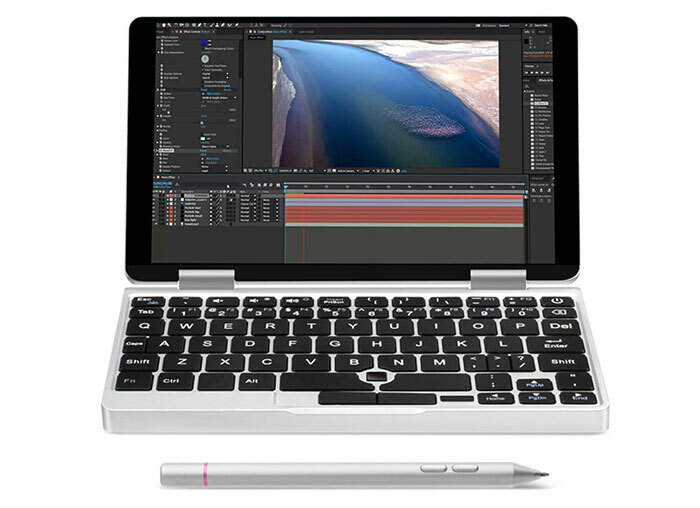 If you are interested in the One Mix 2S Yoga pocket laptop it is available at the usual far-east distributors such as Geekbuying, GearBest, and so on. The US ($629.99) price seems to convert to £535 but you may face a lengthy shipment time, extra customs duty payments, and concerns over warranties. Nvidia teases GeForce GTX 16 series gaming laptops One Mix 2S Yoga pocket laptop beefed-up with Core i7 processor Intel Core i5-9400 PC Specialist Vortex S1 Has Samsung been chosen for Intel Xe GPU manufacturing? Seems to be lower atm. That is the price without customs (which may or may not be charged) in the same way that US prices usually don't include tax. Very cute, one of those things I'd buy but rarely use.